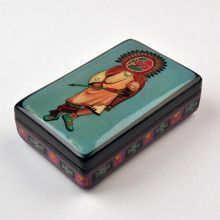 This rare Southwestern lacquer box was made in Russia using traditional techniques with paper-mache. 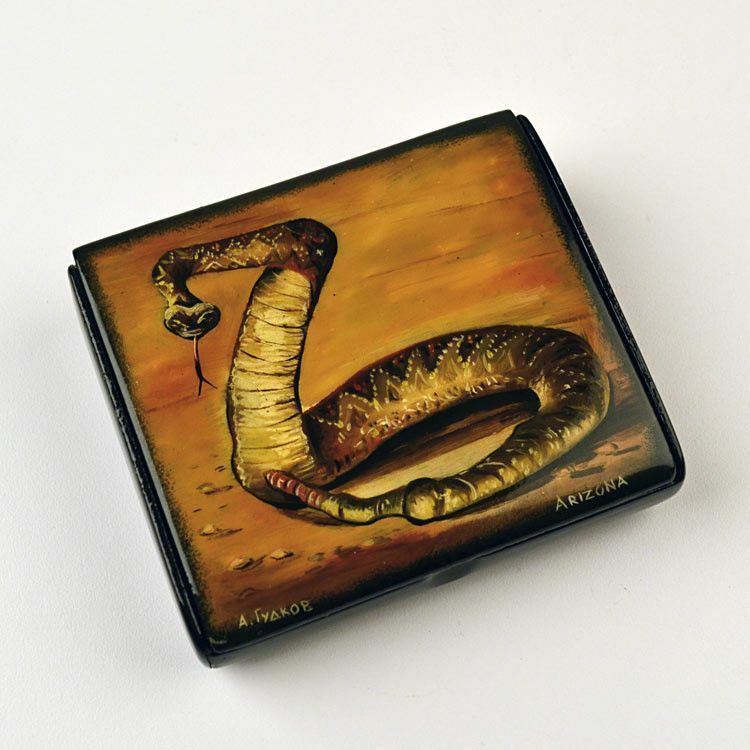 It features a detailed painting of a rattlesnake from Arizona. 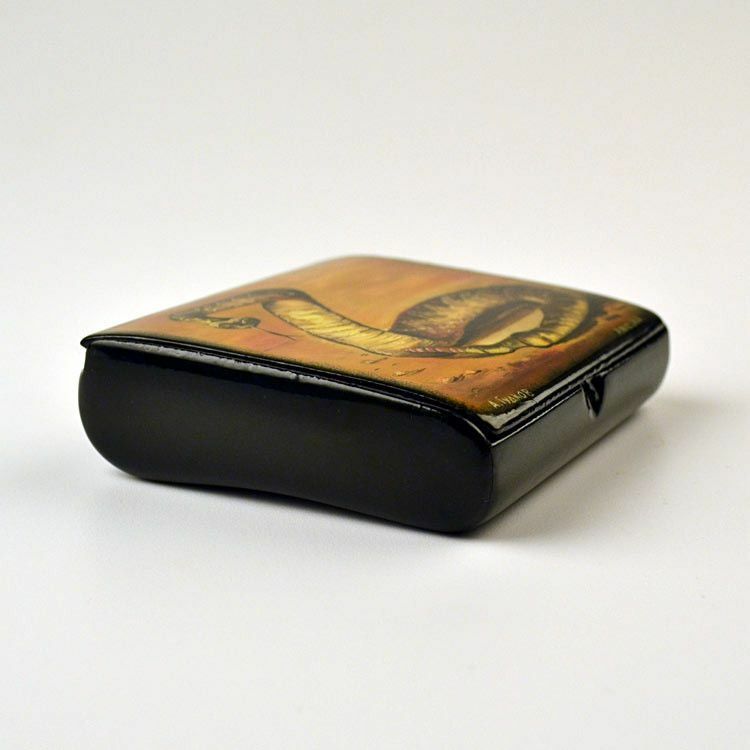 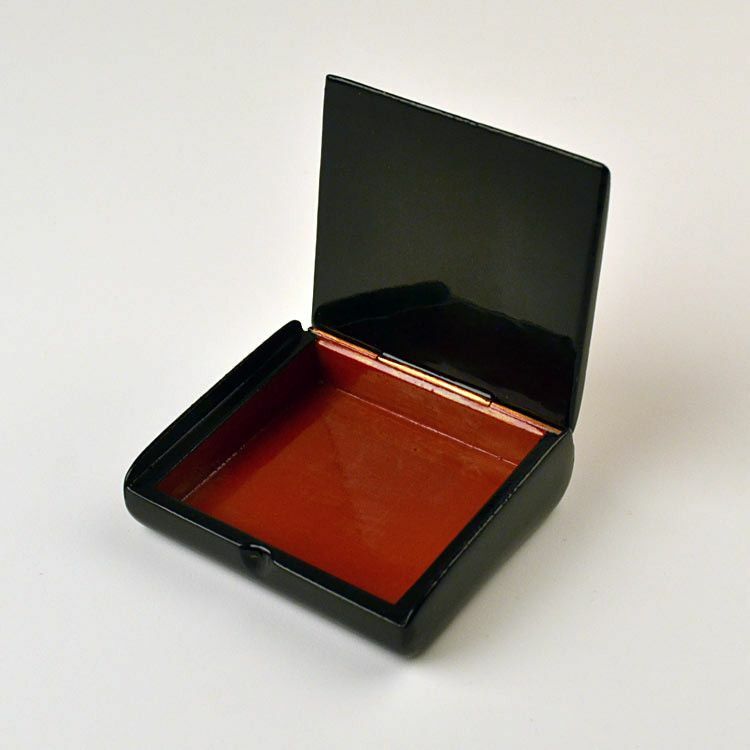 The hinged box is about 3 3/4" x 3 1/4" in size, with a depth of about 3/4". 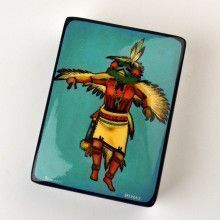 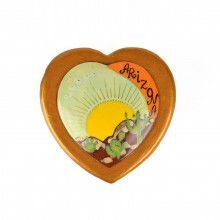 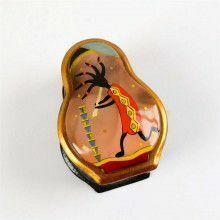 This is a very unique, authentically Russian-made, lacquer box that would make a great gift or Arizona souvenir. 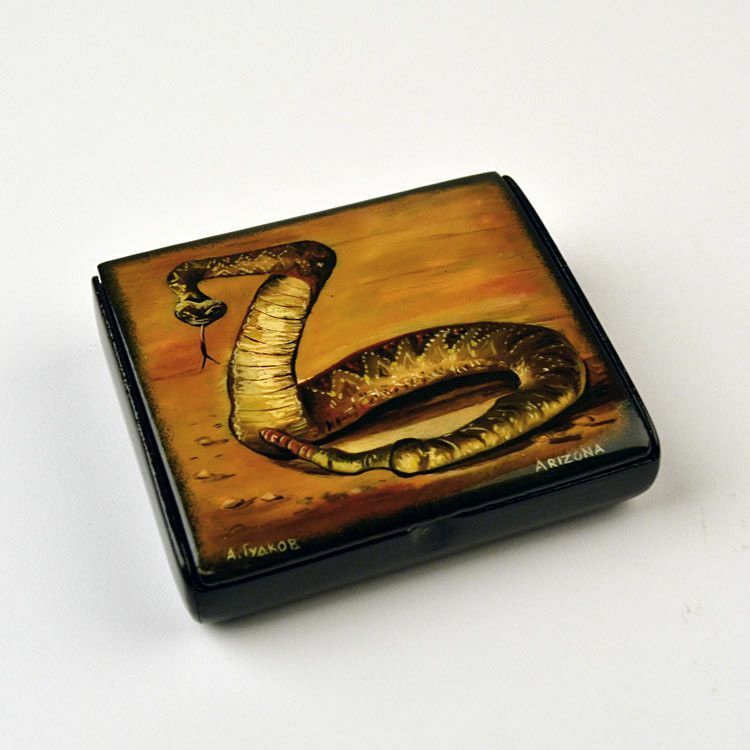 About 3 3/4" x 3 1/4" x 3/4"